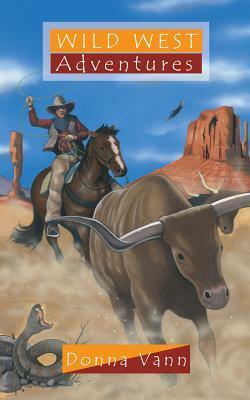 Review:Wild West Adventures by:Donna Vann | A Simple Life,really?! Cowboys and Indians, buffalo stampedes, eating well-roasted mouse as a cure for measles – what was it like to live in the Wild West? This area of America stretched from the Mississippi River all the way to the Pacific Ocean. Although you don’t often see covered wagons or teepees these days, there are still cowboys and Indians. And the West is still wild – especially when you consider what else lives there – bears, coyotes and poisonous snakes! As well as amazing nature and incredible adventures, there are stories of people of faith who were inspired by Jesus. You can be like a pioneer as you explore this part of God’s surprising and wonderful world. Come along on the journey! I grew up in Texas, but have lived in the UK for many years. My inspiration for becoming a children’s writer came through the many books I read as a child – I wanted to do for other kids what these books had done for me. Also, my father was a newspaper editor, so writing seemed like a very normal occupation. It’s sometimes hard to force myself to sit down and write, but I have a regular writing schedule of 2 hours a day, five days a week. That may not sound like a lot, but the main thing is just to stick with it. Most of around today will have a hard time telling our children what it was like in America during the late 1800’s to early 1900’s. That is why its important for our children to learn from books and pictures. This is perhaps the most important way because this is about all we have to go on. But thankfully we are able to take a step back into the past without living the comforts of our living room. In Wild West Adventures, the author Donna Vann shows us a little snippet of what it was like in America during those days. The cowboy had a long, exhausting life in those days. If there was anything to be done on a ranch or farm such as rustling the cattle or maybe even branding them, the cowboy of those days would be the man for the job. The book goes on to tell us so much more about the wild west long ago, that would most definitely hold a child’s attention and expand their imaginations. The best part of the book is the underlying message of having a standing relationship with Christ, the maker of all that is around us. This book is part of a series of awesome adventure books, to learn more go to this link.